Castello di Lombardia or rather its surviving defensive walls and towers are “living” testimony to the long history of Enna’s fortress. Usually, going back in time brings us to the foggy area where facts are gradually replaced by legends. It’s somehow a natural process expressing our need to preserve the “continuity” of time beyond the limits of “known”. Enna’s fortress is not an exception. 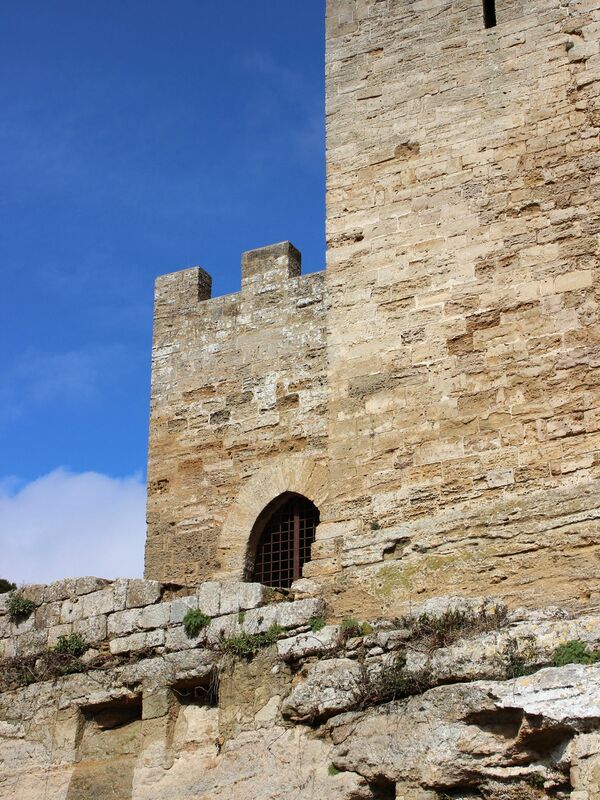 Legend has it that it was the place where stood the castle of King Sicano and his wife Ceres. 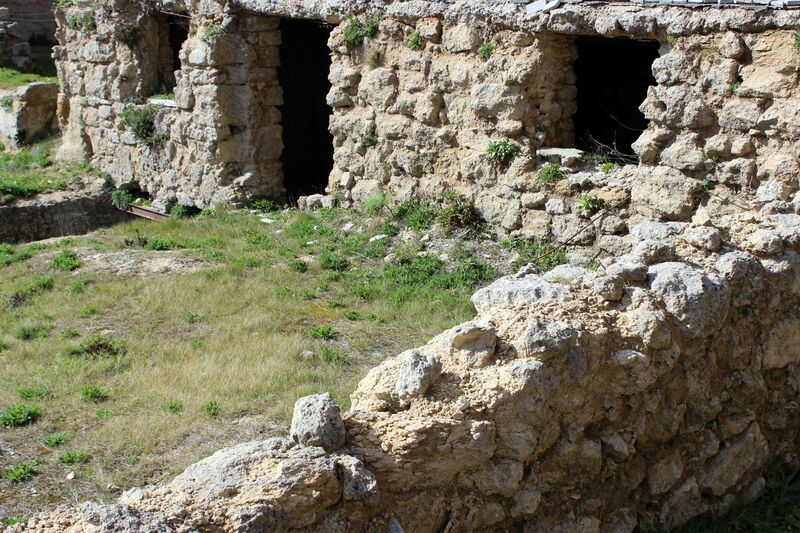 While it is believed that the site was already inhabited since 12th century BC by native Sicilian tribes, the archeological findings like fragments of stone structures, burial places and pottery point to ancient Greek, Roman and Byzantine origins. 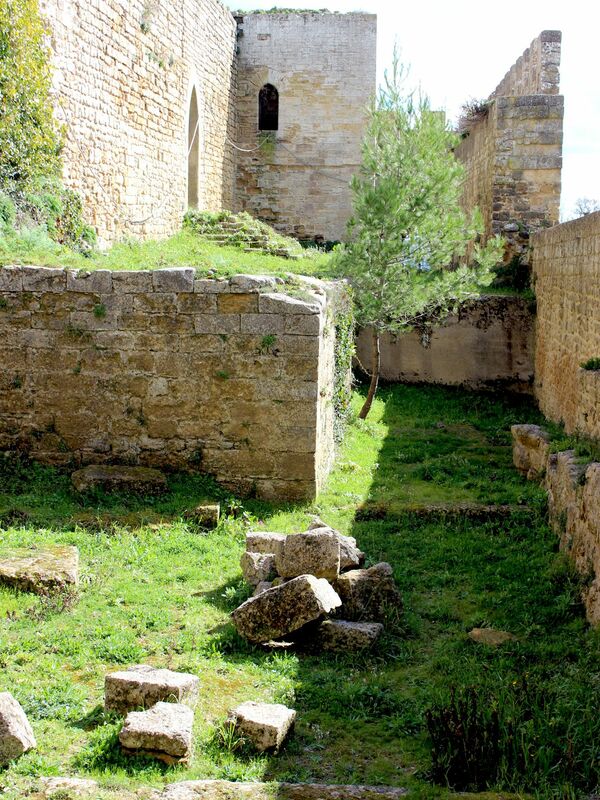 The fact that Romans called Enna “Castrum Hennae” (Fortified Enna) was certainly reflecting existence of some sort of fortifications possibly protecting the sacred Acropolis. 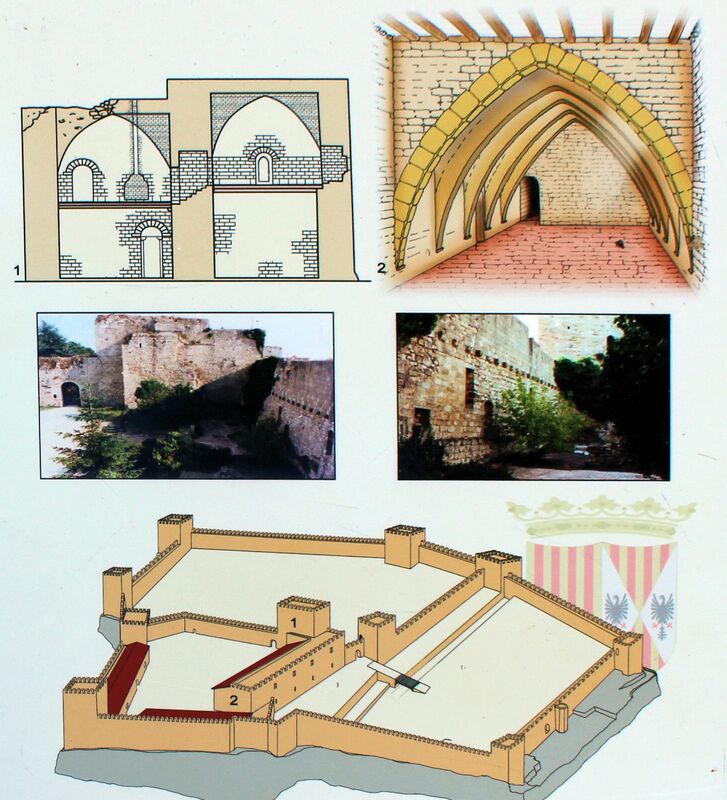 However the currently existing castle’s layout, its walls and towers are definitely the work of Normans. 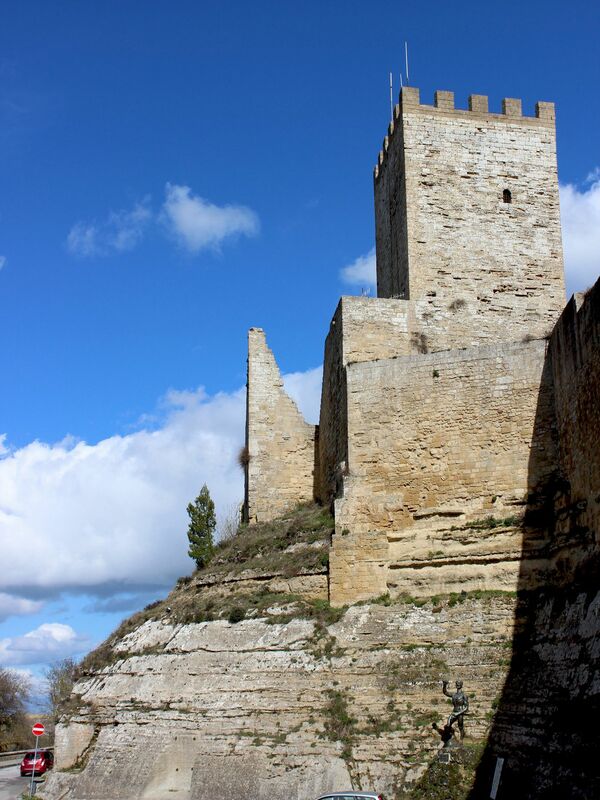 The construction works were initiated by Frederick II of Swabia but the final touch to the castle was given by Frederic II of Aragon. 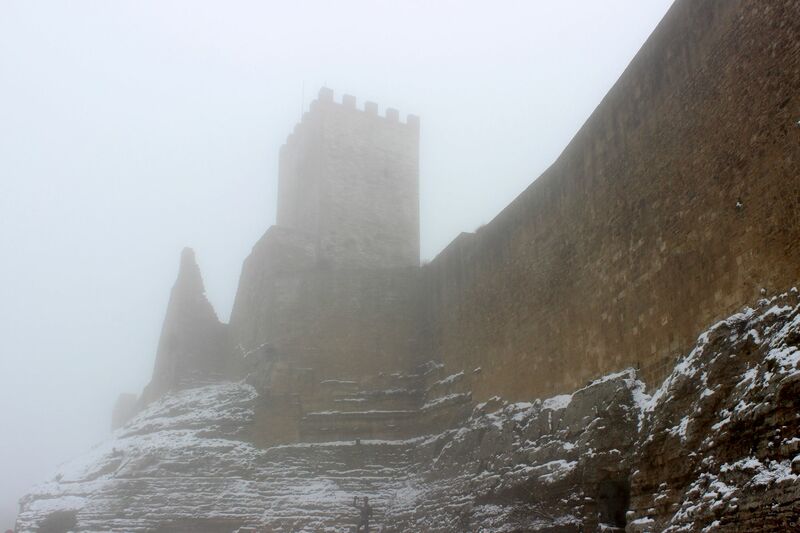 The castle was built in the eastern-most part of the mountain on an outcrop protected by steep escarpments. 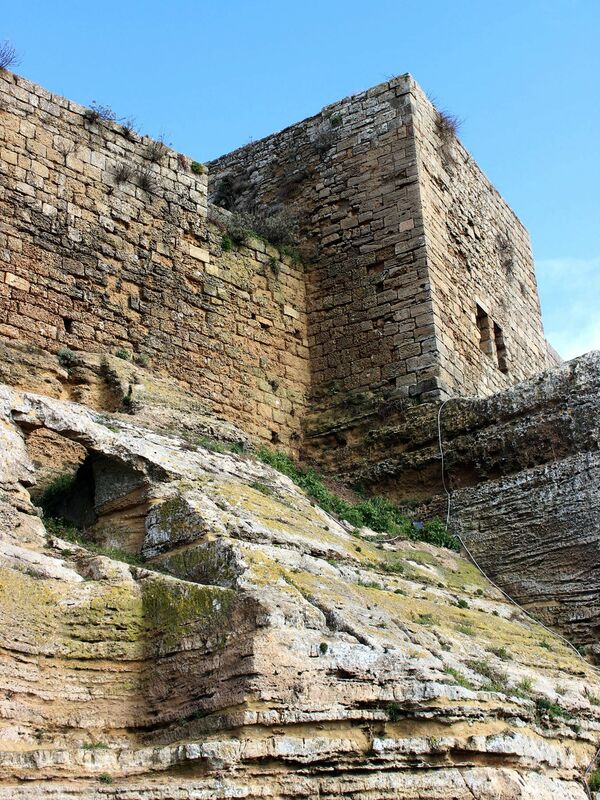 From the city of Enna the fortress was separated by a moat with connecting drawbridge. 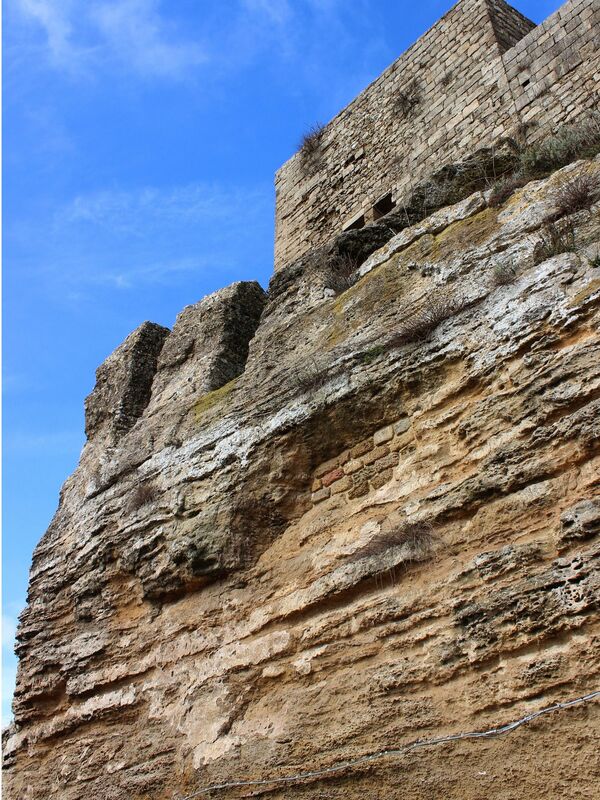 Due to an uneven rocky ground the fortress has an irregular shape. The name “Lombardy Castle” reflects the fact that Norman kings entrusted Lombardian troops with the responsibility to defend the castle. Just to clarify – today Lombardia is the northern province of Italy with the capital of Milano. However, throughout the early Middle-Age the major part of Italian Peninsula was called Lombardia (or Longobardia). That name reflected strong ethnic presence of Germanic people Lombards who conquered the territory of peninsula after the fall of the Roman Empire. Enna’s troops were most likely from Calabria (southernmost part of the Italian Peninsula – in medieval times known as Lower Longobardia). The Lombard Fortress includes four distinct courts separated by massive walls with towers and gates that could be defended from each side. 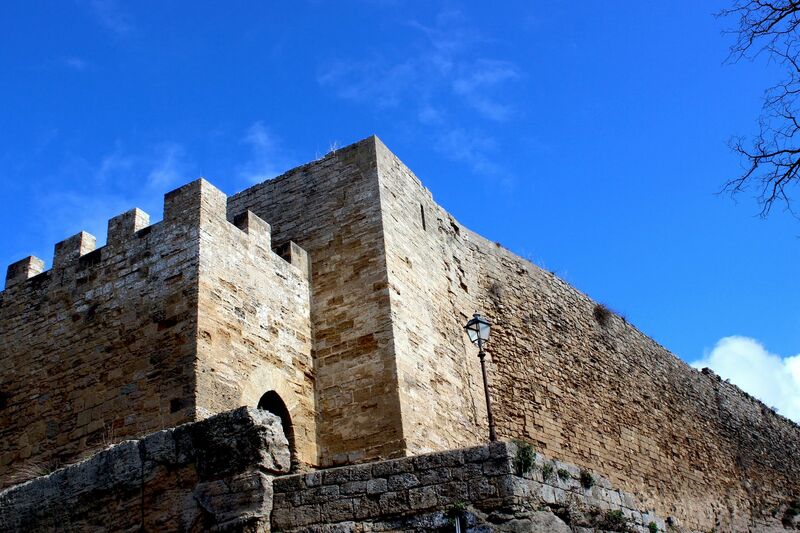 The fortress covers an area of about 27,000 square meters. The first court called Rivellino is a narrow walled strip of land protected by corner towers Torre della Guardia (Watch Tower) and Torre della Campana (Bell’s Tower) as well as a center tower Torre Esagonale (Hexagonal Tower) of which only footprints exist today. This court had strictly military purpose protecting the entrance to the castle. Indeed, those entering the castle had to walk along the court fully exposed to the guards. Thanks to such layout, the court could be quickly transformed into a “death”-end-street for those plotting against royals. 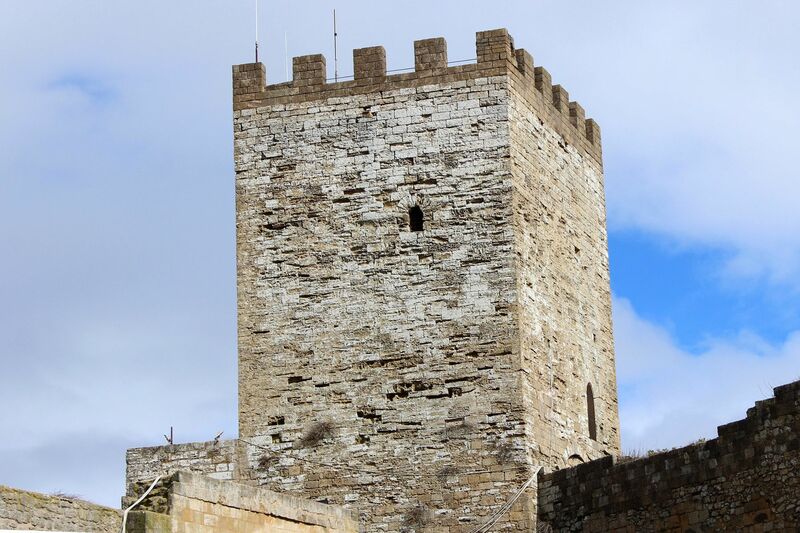 While the name and purpose of the Watch Tower is quite obvious, the name of Bell-Tower is less evident and probably more related to the period when the tower was used as a prison. 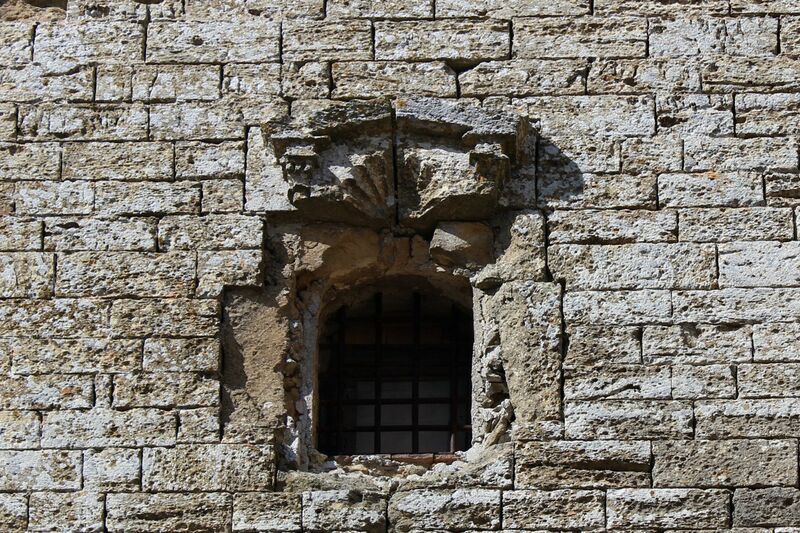 In contrast with its murky past, the tower has beautiful window (quite unusual given tower’s defensive character). Since 1950’s the court was home to the “Theater under the Stars” – a stage for seasonal theatrical performances mostly dedicated to operas and medieval-themes spectacles. It opened its activities with the presentation of Aida. Throughout the following years, some of the most famous opera-singers performed on this open-sky stage. In 2001 the theater closed its activities. Subsequently a large concrete pavement necessary to host up to 5000 spectators was removed allowing for new archeological excavations. It’s an understandable decision but at the same time very unfortunate one for aficionados of the theater “under-the-sky”. So let’s hope that sooner rather than later the theater will resume its activities because frankly, there are no places with stronger medieval atmosphere and ancient vibes than the grounds of the Lombardy Castle. 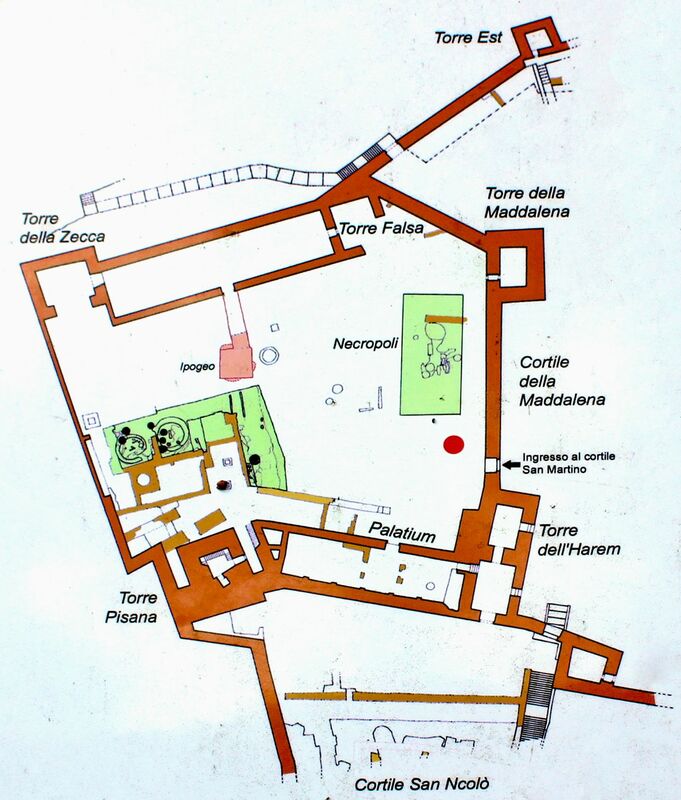 The third court called Cortille della Maddalena (name derived from the Byzantine Church dedicated to St. Magdalene of which no traces exist today) was probably used for stationing garrison troops. The court is located on the highest terrace within the fortress. Unfortunately it completely lost its archeological value in 1940s with the construction of an underground system of cisterns holding municipal water. The Court of Sainte Magdalene is connected to the Courts of St. Nicholas and St. Martin by openings in the inner walls. 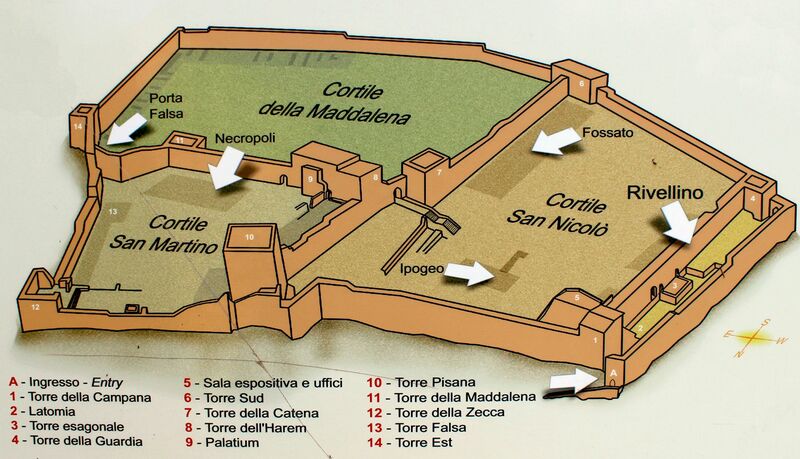 The court has also an opening in the outer wall called Porta Falsa (False Gate). 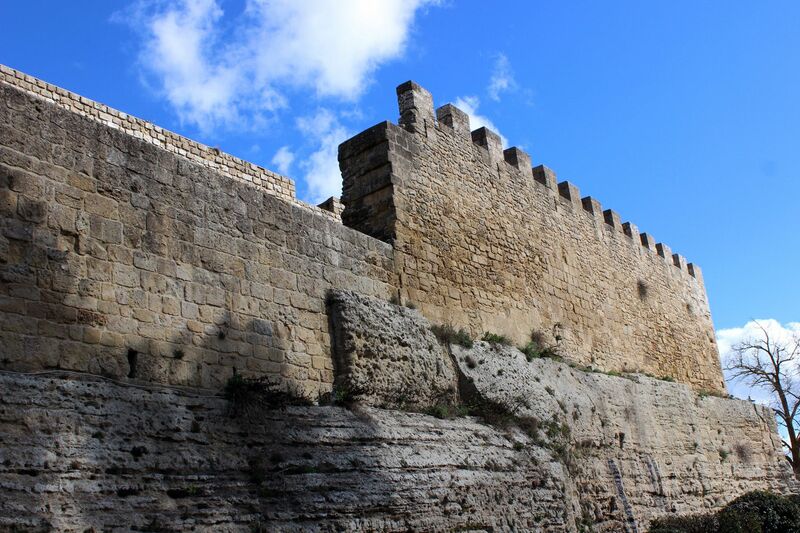 Seen from the outside of the fortress, the gate is “suspended” high on the embankment wall leading nowhere (hence the name “false”)! In 1950’s the metallic staircase connected the gate with the ground level serving as an emergency exit for theater’s audience (now also closed since the theater was shut-down and dismantled). The fourth court called Court of St. Martin derived its name (as it is now easy to guess) from the church dedicated to St. Martin that once stood on this site. This area used to be the heart of the fortress. 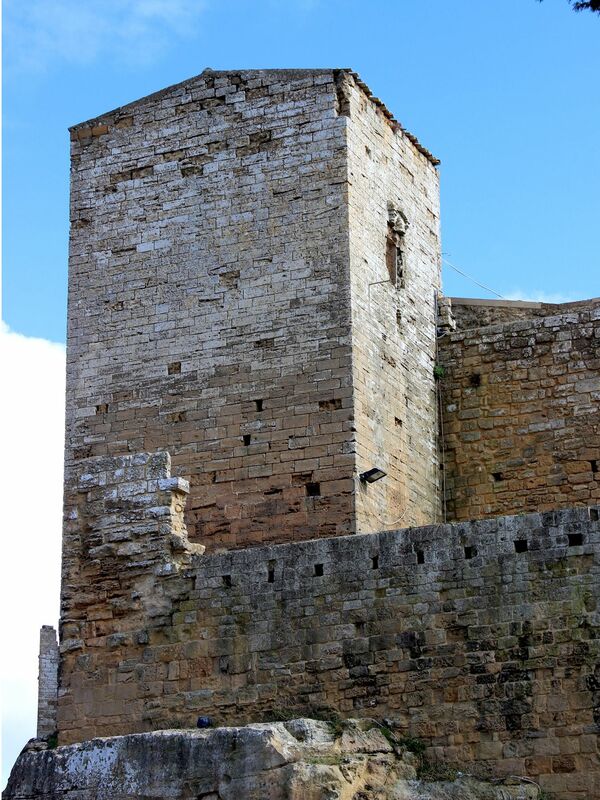 It had the highest level of protection by number of towers standing on each corner and in the central sections of the walls. 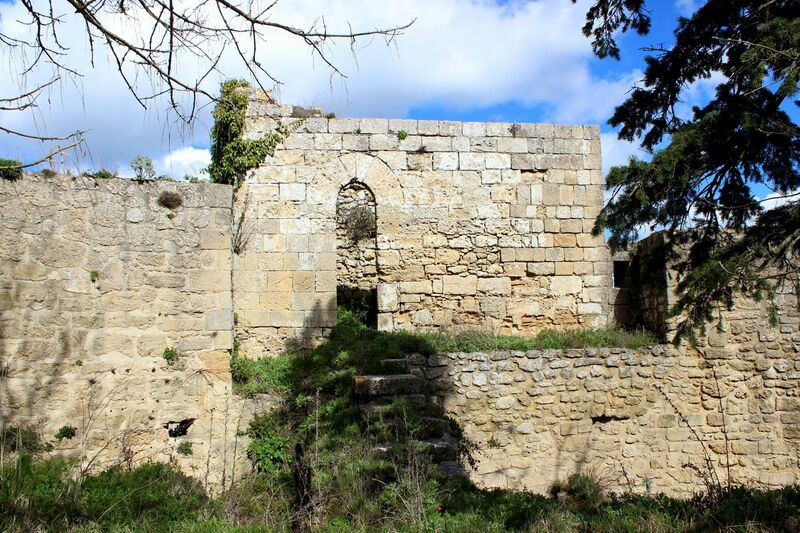 In a way, it was a “Castle within the castle” – but there was a valid reason for such security measures given the fact that it housed Royal Quarters. 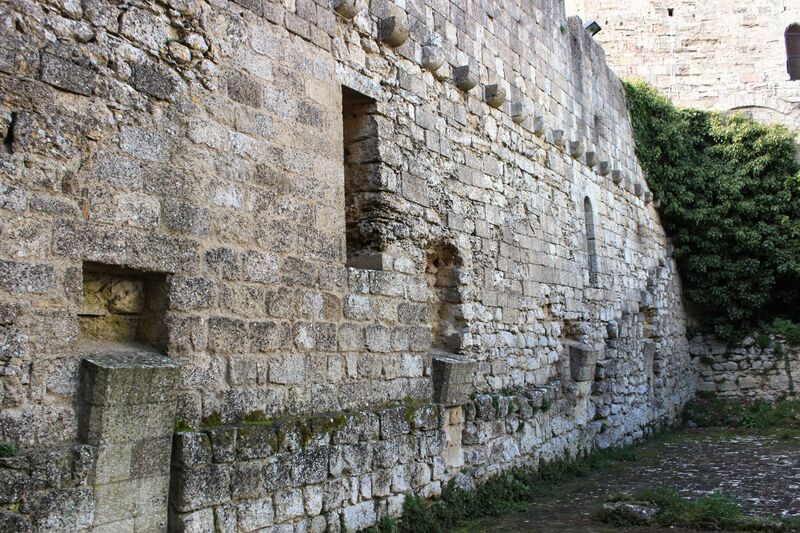 The Royal Palace was standing along the inner wall separating the Court of St. Nicholas from the Court of St. Martin. It was a long, at least 2-story structure including vaulted halls for receptions, bishop’s chapel and king’s private rooms….. 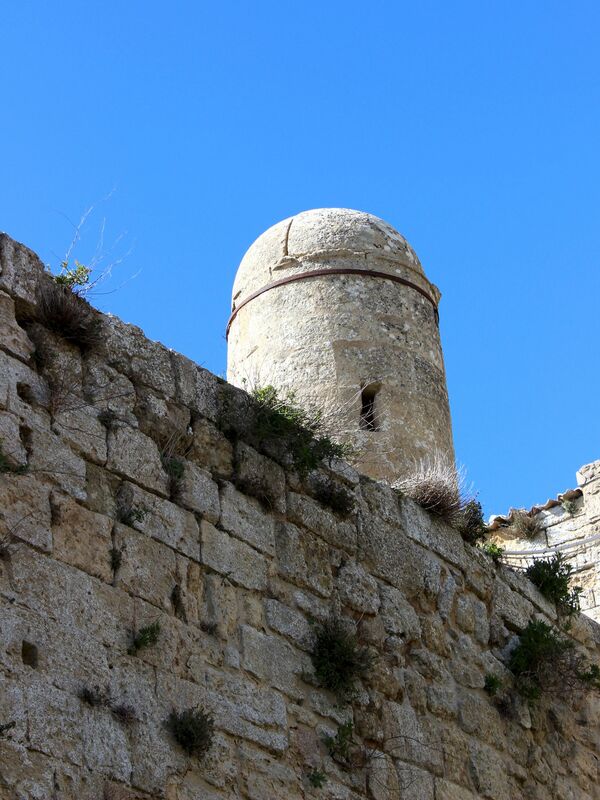 It stretched between two towers - Torre dell’Harem (on the south) and Torre Pisana (on the north). Unfortunately with exception of towers not much of residential and representational sectors survived till our times. Fragments of fireplace probably from king’s private apartment, small section of the barrel-vaulted passage - that is pretty much all we can see today. Next to the wall separating the Courts St. Martin and St. Magdalene are remains of an ancient (probably Byzantine) necropolis. Out of the original 20 towers only six survived till our times in more or less decent shapes. Pisana Tower also called Torre delle Aquile (Eagle’s Tower) is the best preserved and the tallest one. Surrounded by still existing battlements it borders the former Royal Quarters. Remaining towers are: mentioned earlier Torre della Campana, Torre della Guardia, Torre dell’Harem as well as Torre della Catena (Tower of the Chain) and Torre Sud (South Tower). Mostly destroyed (but still recognizable) are Torre Esagonale and Torre della Zicca. Coronation of Frederick II of Aragon in 1314 as a King of Trinacria (for Romans, Sicily was known as Trinacrium and this name was still used in Norman times). Trinacria (triangle) refers to the triangular shape of the Sicilian Island. Symbolically Trinaclia is shown as a head of Medusa surrounded by three running legs and three stems of wheat. Since long it is the symbol of Sicily depicted on its flag. Convocation of the Sicilian Parliament (1324). Both of them prove that the Lombardy Castle was not only a military stronghold but also the site of remarkable residential quarters that could host such celebrations. Spanish kings from the period of 16th-17th centuries irreversibly turned Enna’s wheel of fortune down. Spaniards were more accustomed to the luxury of Palermo’s palaces so evidently the Lombardy fortress was not an attractive residence for them. 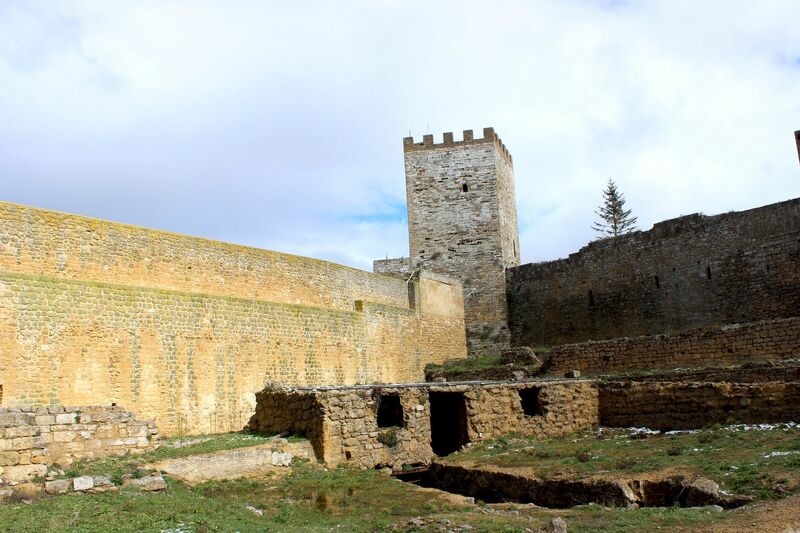 Time did not make it better – with the spread of fire-arms the strategic importance of Enna’s fortress was greatly diminished. 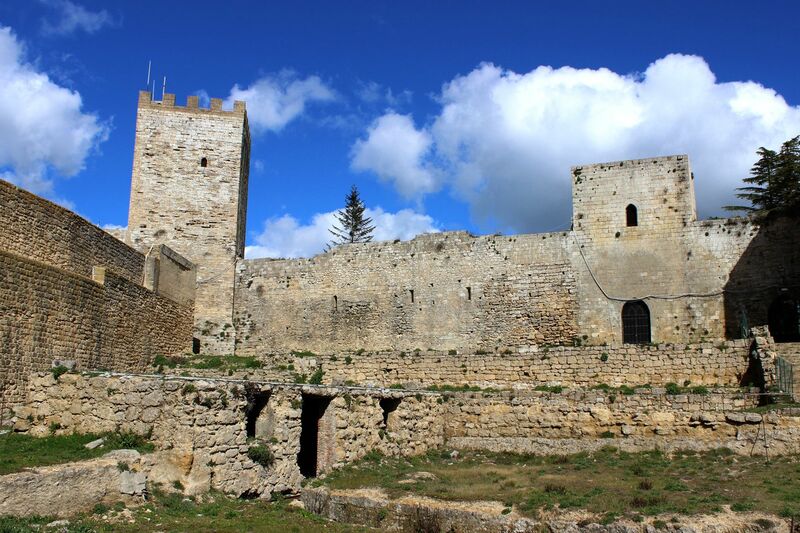 As the result the Lombardo Castle was first converted to a prison and then abandoned. By the beginning of the 20th century the legendary fortress with roots in ancient (if not pre-historic times) was already in the state of sorry…..
Next to the northern outer walls of the Castello Lombardo stands a life-size statue of Eunus – leader and hero of the First Servile War (rebellion of slaves against Roman masters). For Romans, Sicily’s agricultural resources were essential to support farther expansion of their Imperium. In a typical approach characterizing those times, labor-intensive tasks were carried by an “army of slaves” (seems familiar even in our time). Harsh working conditions and brutality of Roman masters were triggering numerous rebellions. One of the biggest slaves’ uprisings started in 135 BC and was led by a Syrian slave Eunus. Under his leadership slaves captured Enna where Eunus was crowned the king and under the name of Antiochus established new social order. The initial success led to the spread of rebellion across the island. 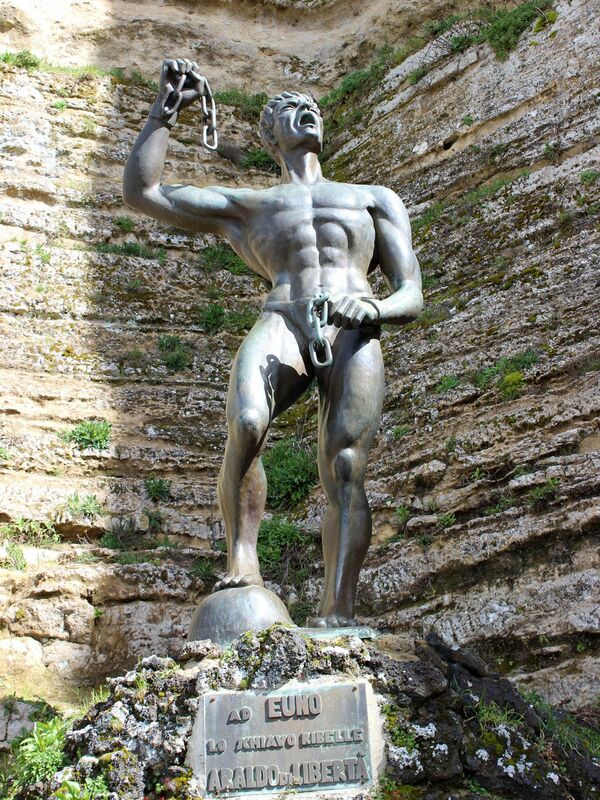 It did not take long before the growing in strength and numbers army of slaves took control of Sicily. Eunus successfully defended new order from incursions of Roman troops, but finally in 132 BC his army was defeated by Romans led by Consul Publius. One of the first large-scale dreams of freedom ended with bloody massacre of thousands of rebels on the site where some 14 centuries later will stand the Lombardy Castle. As it comes to Eunus - being submitted to horrific tortures he died in Morgantina’s prison. Two thousand years before Abraham Lincoln liberated the unfortunate blacks, the humble slave Euno from this Sicana Fortress, boldly launched the Act of Freedom for his companions, affirming the right of every person to be born free and also to freely die…..